Twenty-one Chinese characters mark the start of “City of Eternal Spring,” poet Afaa Michael Weaver’s newest book. Weaver wrote the epigraph, inspired by a chapter of the foundational Doaist text Dao De Jing, to guide him through writing “City of Eternal Spring.” The book concludes a trilogy that deals with a painful childhood that included sexual abuse. The first book, “Plum Flower Dance,” was a way of understanding how trauma had impacted his writing for years. The second, “Government of Nature,” brought Weaver into what he described as the “valley” of his trauma. “Once I was down there in the valley, struggling with those … primal elements inside the trauma itself, I knew I had to come out of it,” he told Art Beat. “City of Eternal Spring” presented him with a space in which to heal. But first, he had to be present, he said, neither dwelling “in the actual space of the pain,” nor fretting over what his pen might yield. The poems in “City of Eternal Spring” span hemispheres. Many take place in Taiwan, Hong Kong and Mainland China, where Weaver has traveled extensively, first as a Fulbright scholar in 2002, then again on sabbatical from Simmons College, where he teaches. But, often, there is a pull back to the United States. In his poem “Archaeology of Time: Gambling”, the speaker’s experience on a boat in the South China Sea evokes memories of his time working in Baltimore factories, of the men who raised him and the women he loved. In his poem “The Long Walk Up to Mao Zedong’s Retreat,” a visit to the Chairman’s mountain hideaway sparks a dream of Virginia poplars. to the courtyard, the gate looks down to Beijing. my stomach upside down and full of the unfamiliar. the things it knows, cup, tea, cigarette, sky. so they can dream of families and sons that go searching. Long before he had ever traveled to Asia, though, Eastern philosophy offered Weaver a way to work through hardship or pain. He was 21 when his infant son died, and a coworker at the factory where he worked offered him a copy of the Dao De Jing. Some years later, also at the recommendation of a coworker, he began practicing Tai Chi. He then started publishing his work regularly in local literary magazines and regional presses. Weaver’s poems are not merely personal meditations, though. When he writes of his experiences as a stranger in a strange land, for example, he is also reflecting on some of the political and social experiences of African Americans. In “Tea Plantations and Women in Black,” the speaker recognizes that, though the Chinese women who stare at him see him as exotic and foreign, their context for him does not include America’s troubled racial history. that is not a paradise for those who live here. we light the fire in the table, hear it puff up. under parasols to hide them from the sun. Whether he’s reflecting on his own personal experiences or on large social contexts, Weaver uses poetry and language to contemplate the process of crossing between cultures and identity. The journey from one half of the world to the other, Weaver said, is like a translation, which he describes as the process which “reveals to you the foreign element that exists inside you.” It’s what happens when he, as a Westerner, travels to Asia, but it is also a part of his lived experience as an African-American man. His transcontinental journey, in other words, helped him understand his home, too. “You come face to face with yourself in many ways,” he said. As he maneuvered through these different landscapes and worked towards healing, the idea behind his epigraph served as a reminder to remain open to those confrontations, a constant struggle while writing “City of Eternal Spring” and the books leading up to it. Then, he reconsidered. “I hesitate to say closure,” he added. “You can’t really say this kind of work is ever done. “The Long Walk Up to Mao Zedong’s Retreat” and “Tea Plantations and Women in Black” from “City of Eternal Spring,” by Afaa Michael Weaver, © 2014. Used by permission of the University of Pittsburgh Press. 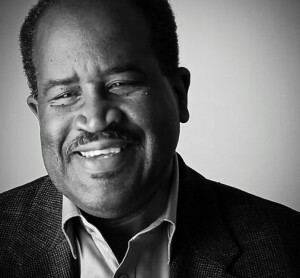 Left: Afaa Michael Weaver has received numerous awards for his poetry, including a Fulbright scholarship, a Pen Fellowship, a Pushcart Prize and an NEA fellowship.